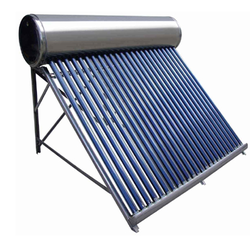 Nogginhaus Energy India Ltd. - Manufacturer of solar water heater, solar water pumps & solar telecom tower in New Delhi, Delhi. Tested and approved products by Government of India. Systems with all the latest technologies. 7 years replacement warranty for entire products. Solar water pumps are specially designed to lift water for irrigation, horticulture farms, gardens, drinking and other similar applications. These solar powered water pumps are best alternatives for areas where there is no electricity or scarcity of power supply. 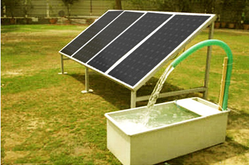 Easy Photovoltaic solar water pump systems can be easily installed and requires minimum maintenance. We manufacture and supply various models of solar water pumps, solar submersible water pumps and the specially designed modules of the system can withstand extreme weather conditions such as storm, rain and dust and are impact resistant. It is estimated that the Information and Communications Technology (ICT) sector worldwide is responsible for around 2 per cent of global CO2 emissions. 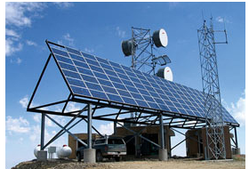 India has around 300,000 Solar Telecom Towers around the country, a large portion of which is not connected to the electricity grid. Another large portion does not have access to reliable electricity implying they have to install backup power systems in order to run without interruptions. Diesel Generators have been the choice of telecom operators despite their high carbon imprint. This is because of the ease of buying and installing diesel Generators. Usage of more than 2 billion liters of diesel every year, have brought this sector under the government scanner.